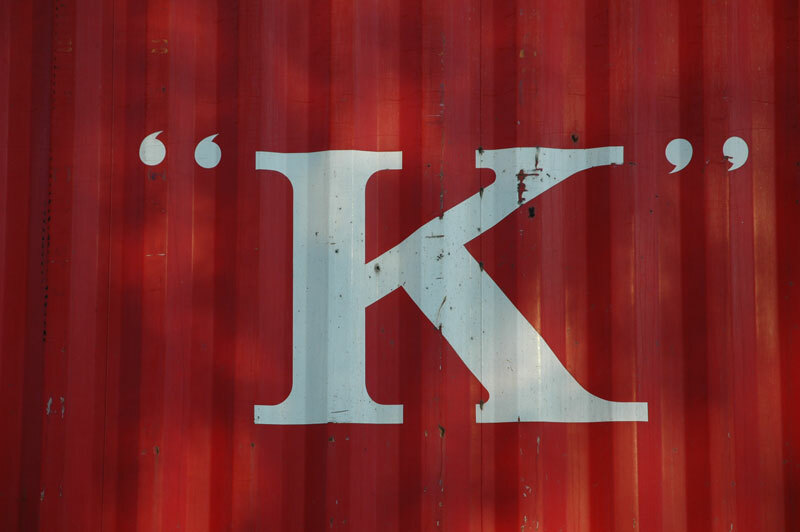 Above: A “K,” from a local container hauler that parks on our back street. K Line: Local container stop, happarently. This entry was posted by Erik Brandt on Tuesday, May 12th, 2009 at 8:50 AM	and is filed under Aktuell, Education, Geotypografika, Graphic Design, Photography, Typografika, Typography.